“F.T.I. – Ferrovie Turistiche Italiane” is volunteer association. Its target is to preserve the railway heritage from the tracks to the stations and the lines themselves. 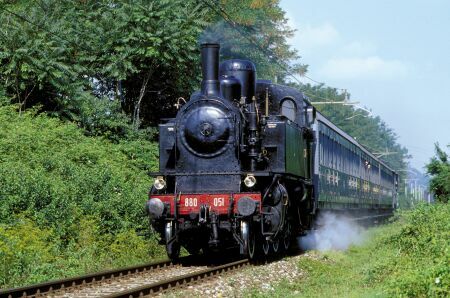 TrenoBLU is the initiative of "FBS - Ferrovia del Basso Sebino" along the railway line Palazzolo - Paratico Sarnico (at the border between the Provinces of Bergamo and Brescia), remaind closed almost thirty years and reopened for passenger services in the 1994. It was possible, for the first time in Italy, thanks to the unusual co-operation between FS (Ferrovie dello Stato - Italian State Railways) and the Association FBS (born for this purpose) with the support of some local public administrations. 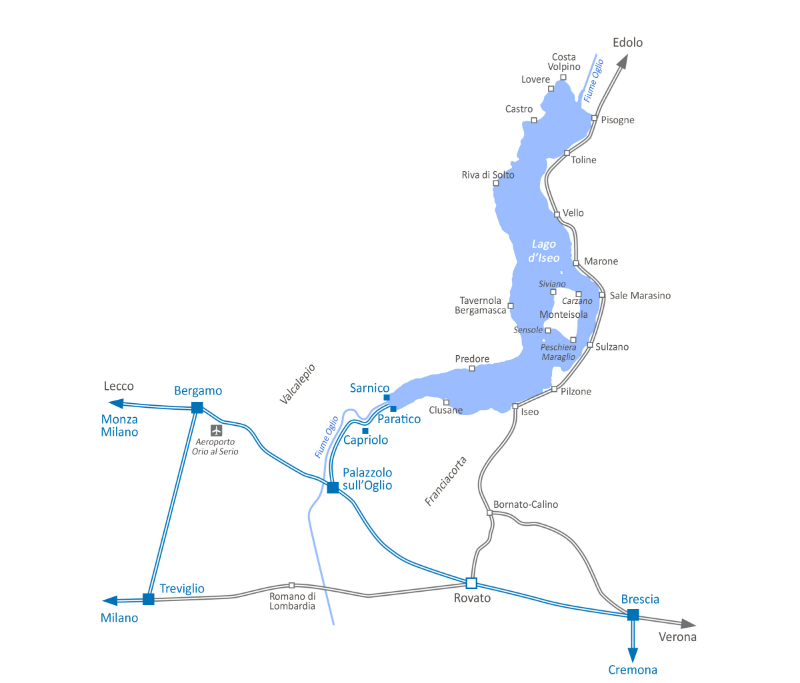 To the train journey along the line that runs by side of River Oglio, is often joined to an excursion by boat on the Lake Iseo or to a lunch with local produces. From this year the service is held exclusively with historic trains with a steam locomotive and its vintage coaches dating back to the 30s of last century, still able to report back in time, between ancient fascinations. "Ferrovie Turistiche Italiane" declines all responsability for unobserved connections, hitches and damages of every kind to persons or objects. The indicated times correspond to the information we had when this text was drew up (February 2016). We also decline all responsibility for mistakes, for changes applied after the edition of this text and for the consequences due to those changes.